A while back I was in a frenzy of preparation to move across the country. I was living in Sedona, at the time, and received a message from a new friend that told me about this special man that gazes at people and sends love through his eyes. She suggested that experiencing his love was so important that I do whatever I could to attend the event, before I left Sedona. To be honest I was very busy and nearly dismissed the event, but spirit just kept nagging at me to be sure to attend. When I looked at the schedule and saw that there were hourly events at only $8.00 per event, I thought what the heck, an hour to experience the energy of this deeply spiritual man, would be worth it. Well, spirit had a different idea in mind and when I went to buy the ticket for the first event of the day, I couldn’t just buy one ticket, I was guided to buy a ticket for every hour of the day. There were 8 events that day. I knew this would delay my move by an entire day, but when spirit speaks, I listen. And, I am soooo happy that I did. As the first event happened, I suddenly felt a warm, deep loving energy fill the entire room and surround me. I was hooked and so glad that I had bought all 8 tickets. I didn’t stop to eat lunch I was so caught up in the energy and just wanted to receive more of that deep love that he was sharing just by gazing into the room. By the end of the day I was floating and forgot to ground myself, got in my car and nearly ran into another car, before I stopped and grounded myself. I floated through the next couple of days wrapping up all of the packing and getting everything ready for the moving truck. I was supposed to leave as soon as the moving truck left but I suddenly knew that I was meant to stay until the next day. A friend left me an air mattress to sleep on and so I decided to stay. The following morning as I was preparing to leave, I heard a voice tell me that again I was to wait, that I would not be leaving until tomorrow. Shortly after that I noticed that one of the feral cats I had nicknamed P2 seemed to be having a bit of a problem walking. I had been feeding the cat for some time and yet had never been able to get close to him until this day, in which I was able to walk up to him and he barely tried to get away. I realized that something was seriously wrong with him, so I put him into a cat carrier and rushed him to the vet. Unfortunately, there wasn’t anything they could do for little P2, but I was grateful to be there with him as he left his little black furry body. There are no coincidences. I believe that Braco’s being in Sedona and my receiving of his loving energy was all part of a bigger picture to be sure that little P2 was not alone on his transition. As sad as it was to see him hurting and then dying, I felt blessed to be there with him on his final journey. 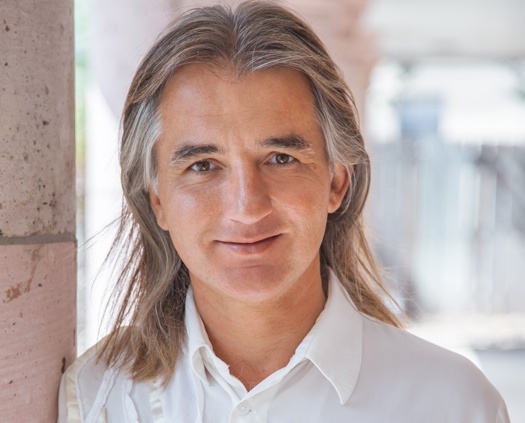 I’ve since experienced Braco’s gaze both in person and through Live Streaming and in all cases I have felt overjoyed with more peace and love in my life after experiencing this beautiful man’s gaze. Now, you too can experience his loving and peaceful gaze by registering, for free, for his upcoming “Live Streaming” from Croatia, to celebrate his birthday, this coming weekend, starting on November 21st and going through November 24th. You don’t even have to register, just show up at any or all of the times listed on the site here! I hope you share in the comments below what your experiences have been if you have already experienced Braco’s gaze and if not, please come back and share, once you have experienced it. Just imagine… what you share may just be what another person needs to read that can change their life. With Love, Light, Laughter & Deep Gratitude!